Lights….camera….action. – Dirty wet dog , boats and sailing. Last week just before i got away from Plymouth i decided to buy a basic video camera and at least try to get some footage to play around with so i got a fairly simple one : MUVI K2 and a couple of mounts. On thursday when i made my getaway i quickly set up the rail mount on the pushpit and i thought started taking video clips as i motored down the river : i even found myself narrating it in a kind of Dyaln-esque voice. I had to stop filming down in the hamoaze when i got spray over the boat as i don’t have a waterproof case yet but i thought that i would at least have some clips to play with when i got home. Tonight i connected the camera to the MAC and downloaded the images and what do you think i have got ? , nope not nothing but i hadn’t read the instructions : why would i do that ? and instead of maybe half an hours worth of video i have inedvertently taken about a hundred photographs instead…..wrong button numb-nuts !. Its taken some nice pictures and even more of my right arm !. 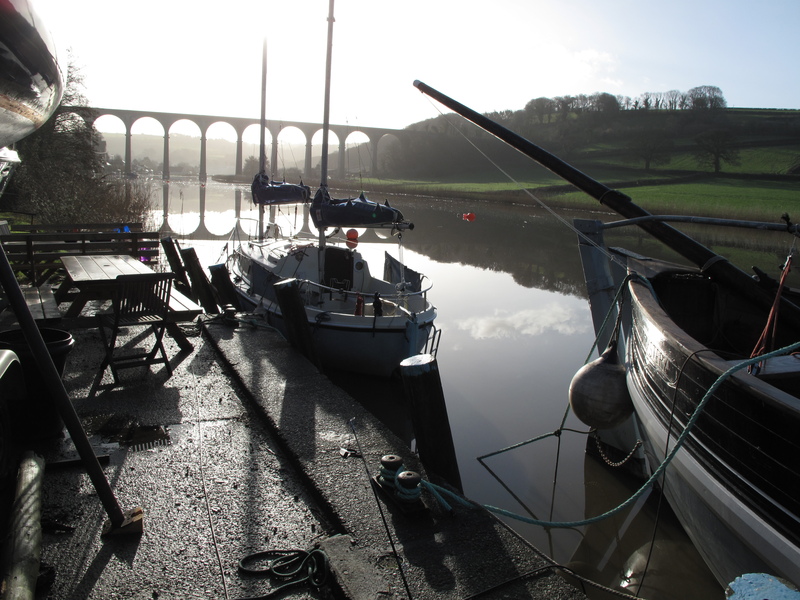 Non film clip of cotehele quay by the way. I think ‘doh’ is the expression i am looking for ! Previous Reise Reise , Seemann Reise.